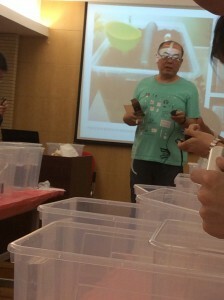 I also got to participate with David Li in a workshop for about 20 government officials in Shanghai. The 3rd picture shows all the elements of the system which is simple. 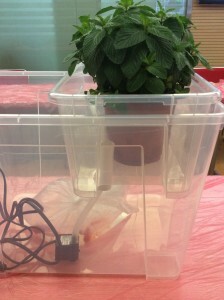 The system includes 2.5 gallon plastic container for the fish tank area, (2) 1-gallon containers for the grow space, hydration growing media (the clay balls), 3/4″ PVC pipe for water circulation connected to a small submersible pump, 4 goldfish and a mint plant. This workshop was a demonstration to show these government officials how aquaponics works as well as for them to have their own take-home systems so they can experience growing their own herbs in the kitchen window or something along these lines. 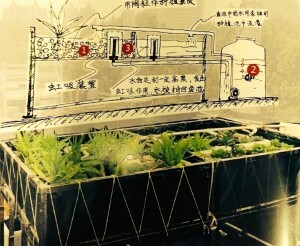 David hopes to inspire larger projects around Shanghai with aquaponic systems setup on the Shanghai library rooftop and other public spaces. 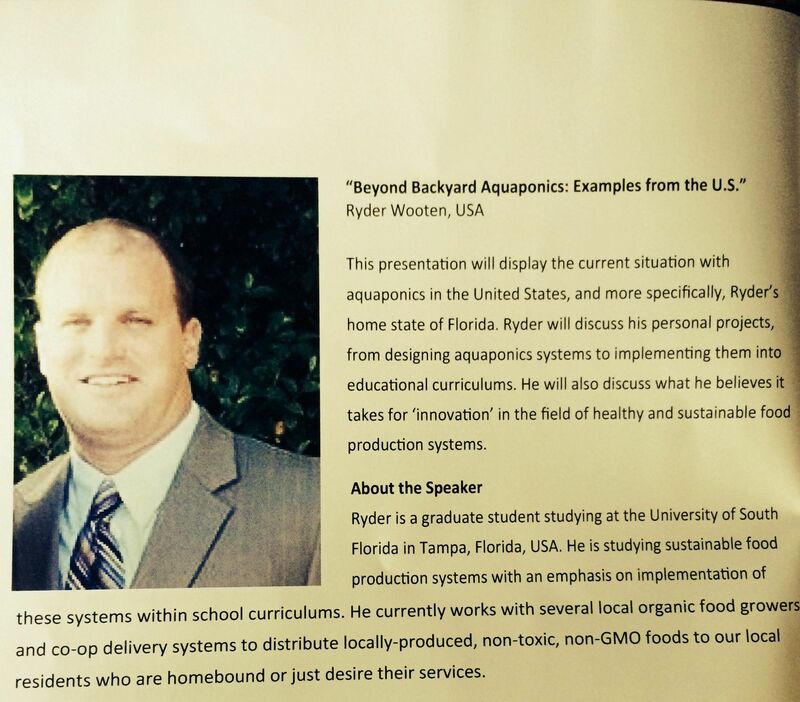 Sage vision founded by Lynn King is teaching students and parents about aquaponics and growing their own food. This pic below is of Lynn instructing students at the Fish Garden installation at L’otel in Shanghai. 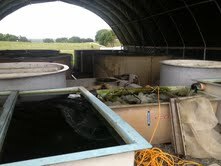 Lynn is building a summer camp initiative to further expand the reach of aquaponics and urban farming education. 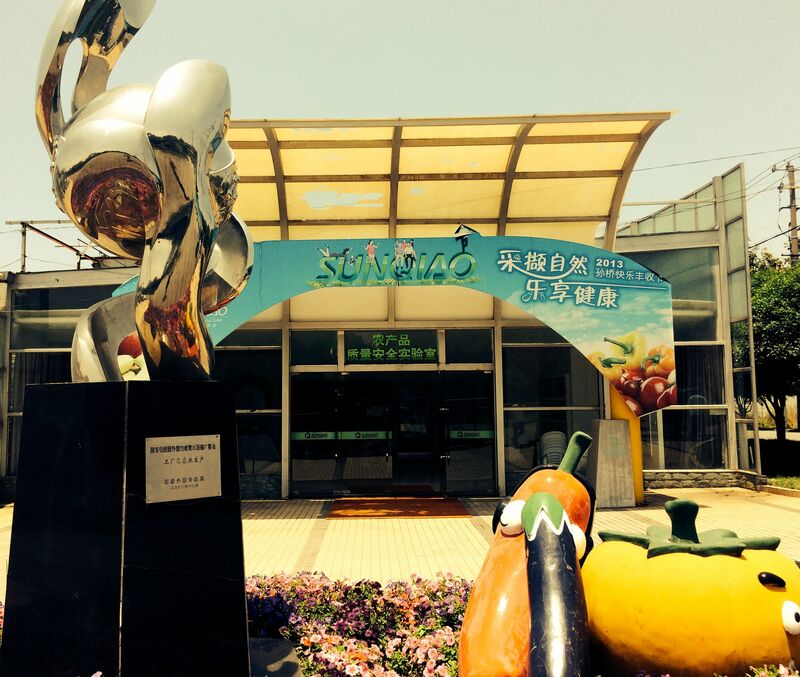 This week I travelled to Wuhan University for an urban agriculture/new foodscapes forum. Several Wuhan professors from the landscape architecture program gave interesting talks on city planning in China to incorporate productive green spaces meaning growing food in city green spaces. 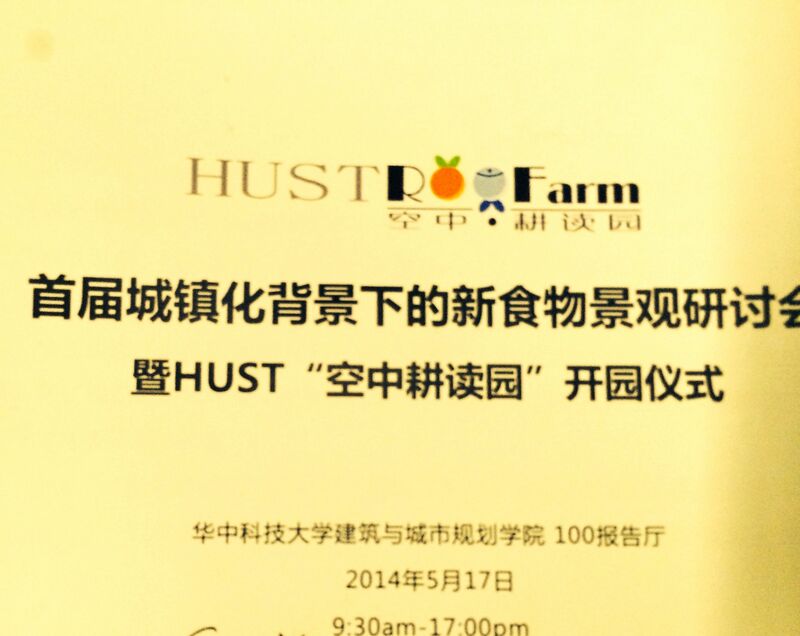 I was honored to be asked to give a short presentation on my projects. 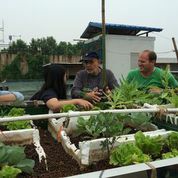 The landscape arc students at Wuhan have a rooftop aquaponics system which they asked for several of our opinions on ways to improve their systems. 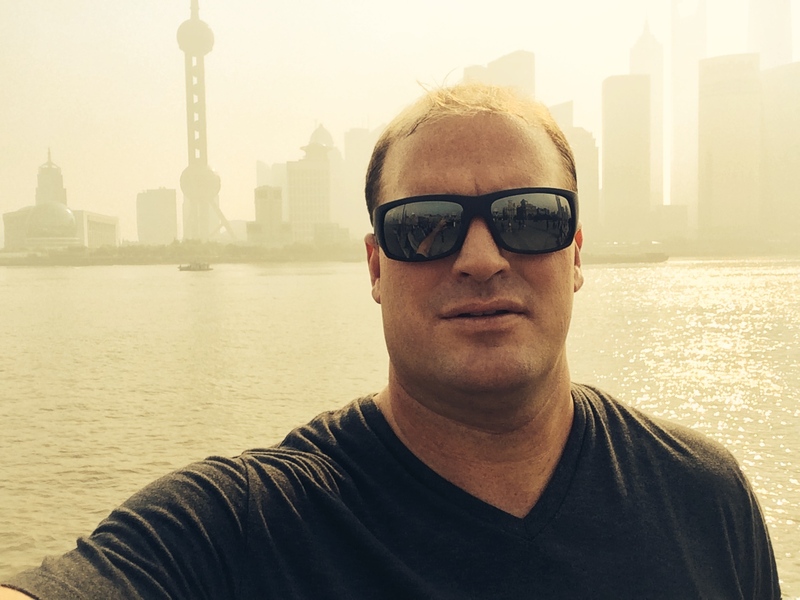 So I explored The Bund which is Asia’s financial center and the skyscrapers to prove it! Looking across the Huangpu River you see the explosion of Shanghai and China’s economic dominance. 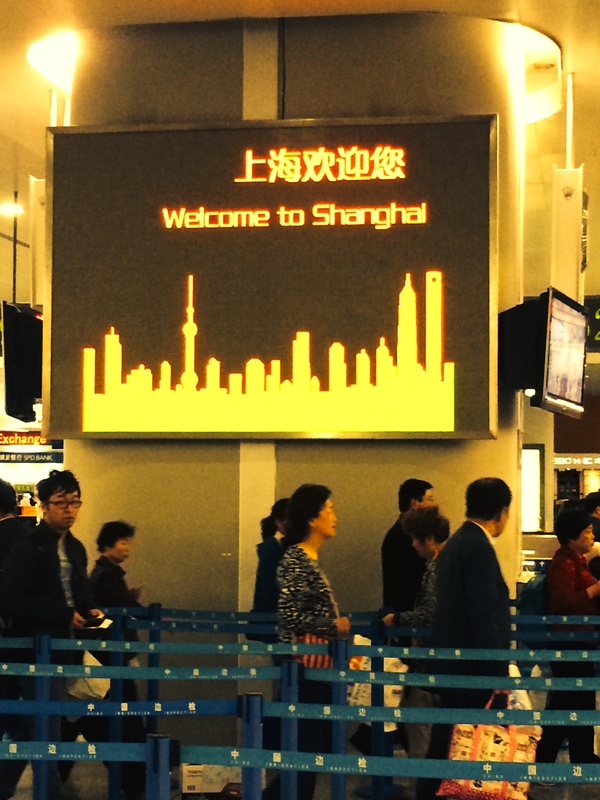 China’s megacities have an incredible efficiency built into them as Shanghai must move about 27 million people around its areas on a daily basis. The metro has been the fastest and easiest I’ve ever rode. 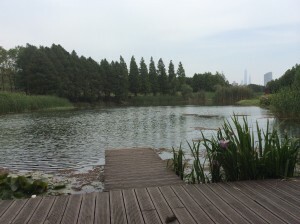 I also visited Houtan Park. 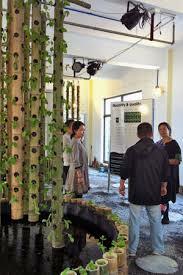 This is an installation as part of the 2010 World Expo along the Huangpu River. The park is a natural wastewater treatment plant which takes water from the river through ebb and flow processes to clean the polluted river water through landscaping and beautification planting. Floating walkways allow tranquil exploration of the park and lots of wedding parties were using this wastewater treatment facility for the backdrop to their lifelong memories. 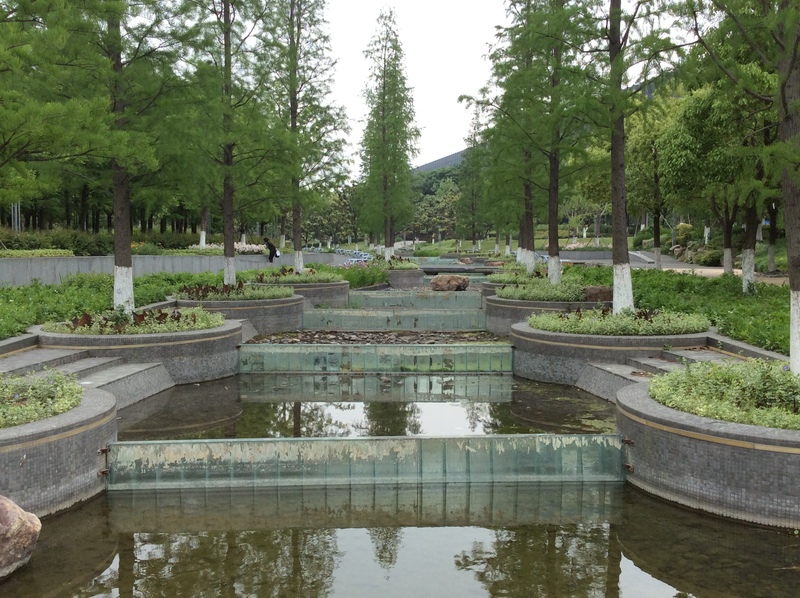 Another example of water capture and utilization is seen in the picture below as farther down river the expo building and stage were surrounded by water ways that captured and restricted water movements while doubling as scenic beauty for visitors. …. 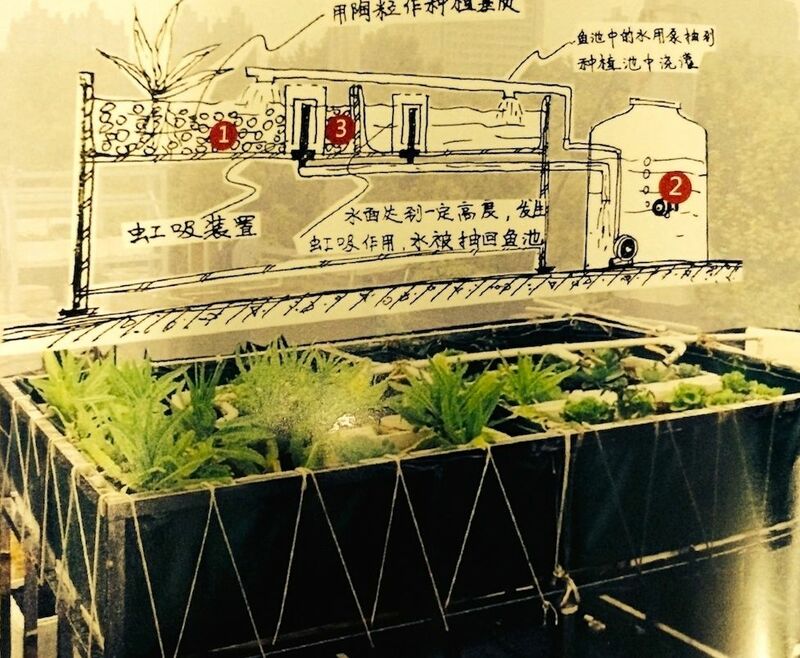 and outside the megacity we see the original aquaponics systems! 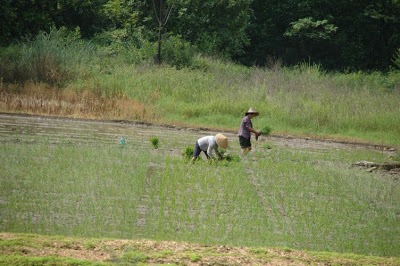 Rice paddies are an important farming technique the Chinese have been using for centuries. 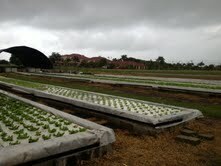 These fields are the original aquaponics systems. 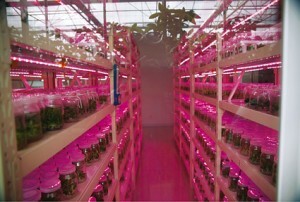 These are natural systems that grow fish and plants together. Some farming techniques within the paddy fields are growing turtles, fish, crabs and other aquatic animals with rice paddies. 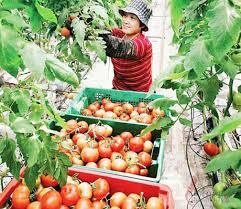 The farmers use natural ecological systems replication to make the farming production as efficient as possible. 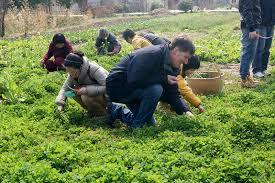 They have honed their skills to a point where it looks fairly easy to the outside tourists. Touring rice paddy fields was an awesome experience for someone like me who likes to get dirty! So I arrived in Shanghai, Pudong Airport yesterday and made it to my apartment and did some grocery shopping. I am getting ready to explore the city before I start my internship duties. 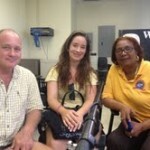 This week I was welcomed onto the UVI radio station to talk about the work I have done while here and, of course, the greater topic of aquaponics. 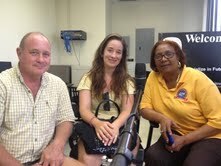 I was not the original guest but a tag-along as I have been working alongside the main guest, Don Bailey. Mr. Bailey is a research specialist at the Agriculture Experiment Station on the St. Croix campus of UVI where he directs the aquaponics project. 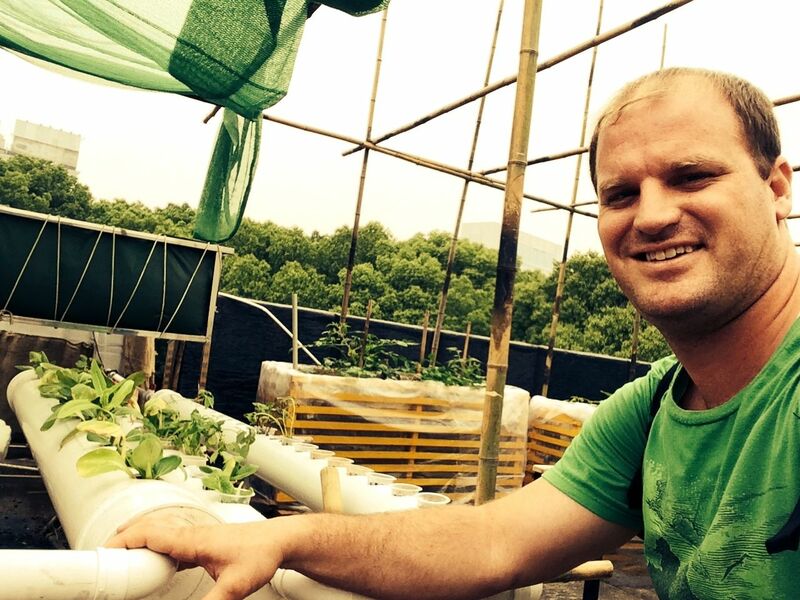 He is also the main instructor of UVI’s International Aquaponics and Tilapia Aquaculture course that is open to the public and one of the most famed curriculums for those who want to plan and design a deep water raft culture aquaponics project, especially on a commercial scale. 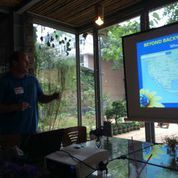 It seems that Don has been doing a great job teaching the course participants because during my stay, I conducted an online survey to get feedback from participants from the course. Whereas I wasn’t able to draw much conclusive evidence for my paper per se, I did get some valuable information that might help the future development of the course. I learned A LOT about surveying and what one could expect about response rates and willingness of respondents to share. 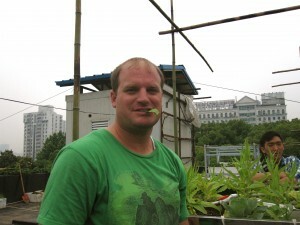 The experience was important because I realized how and where I would have had to tweak my questions to get more definitive qualitative data for my research. All in all, it was a very gratifying experience. Aside from the usual care of the system (harvesting, transplanting and seeding), my other task this week was to paint and drill the rafts that float in the deep water culture hydroponic subsystem. 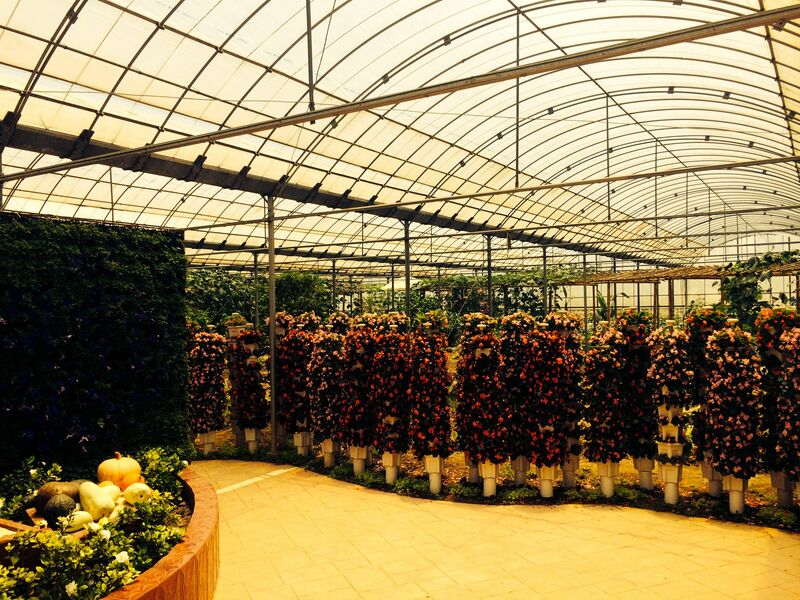 The foam is drilled with the amount of holes needed to grow plants which depends on the size and type of the plants. 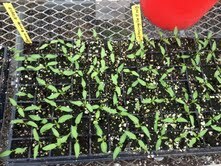 An experiment with zucchini will soon take place at UVI so I was drilling boards with 12 holes, as to give the bushy plants lots of room to flourish. 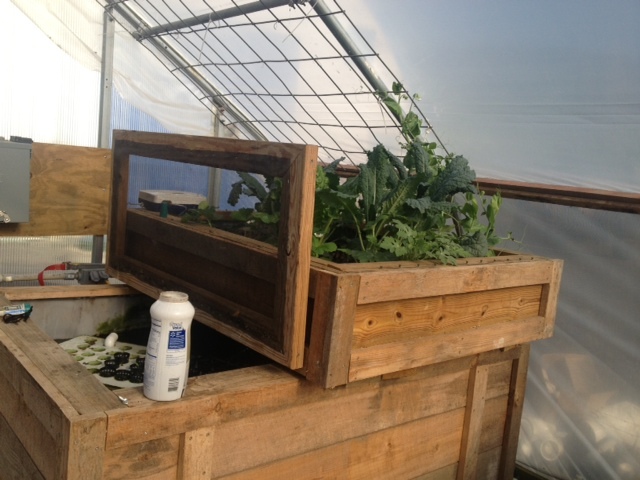 Below you can see the different stages of plants as they make their way through the aquaponics system. As well as a picture during the radio show and some amazing butterflies as I hiked to get a great picture of the Crucian coast line. I arrived on the beautiful island of St. Croix in the US Virgin Islands with a keen interest in being out of the 40 degree temperatures in the West Virginia mountains. This was definitely satiated by the warm, sunny island life and a lack of air conditioning in my small apartment. Before beginning my time at UVI, I took on the task of designing a survey to understand how participants from UVI’s short course on aqauponics were applying the knowledge they gained and assess what implications these results could have when addressing barriers to widespread adoption in the industry. It took quite a while to get everything on track, which included picking a random sample from the 600+ participants that have come to the USVI to take the course, dealing with email addresses that were no longer active and poor response rates (because everyone ignores email surveys!). During that time though, I was able to get some great experience working with the field crew at the agriculture experiment station on the St. Croix campus of UVI. 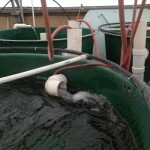 I assisted with seeding, transplanting, harvesting and maintenance of the aquaponic system. 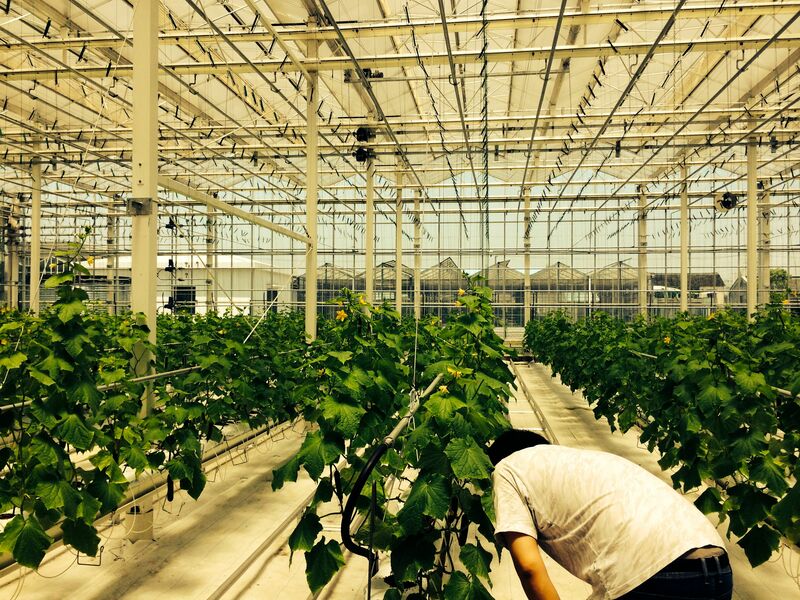 It was great to explore the famed system, the design which many producers replicate to produce great results all over the world. My favorite activity by far was the collection of tilapia eggs which I did not manage to get a picture of due to rain and not wanting to get my camera soaked. Tilapia are “mouth brooders” because they store fertilized eggs in their mouths to incubate the eggs in a safe environment until they are ready to be hatched. 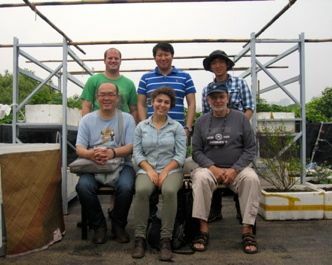 This meant that we had act like “tilapia dentists” and open up the mouths of the fish to find the eggs which would go into a separate rearing tank to be hatched. It was quite the experience to open up a fish’s mouth and find tons of tiny eggs. My last week at Reymann Memorial Farm in Wardensville, WV made me realize that my stay here was much too short. With so many activities and areas of interest concerning pressing themes in the aquaponics industry, there was more to analyze than I gave myself time to do. 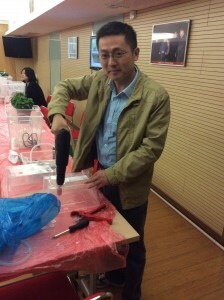 I’m glad I am being so fully supported by the staff and faculty working on the project as a connection with them will provide important insights into addressing the barriers to widespread adoption in the aquaponics industry. To give you some insight, my research for the project and analysis of industry applications has gone through quite an evolution since I began this endeavor. At first I was trying to identify best management practices that are being established for aqupaonics but after discussions with my advisors I found myself trying to really understand what that would mean and look like. 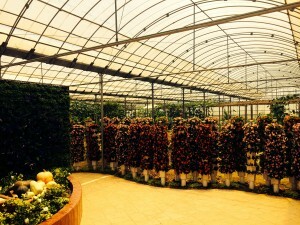 I realized, with the maturity of aquaponics and the way the industry interacts with the mechanisms of regulation, certifications and sustainability indicators as well as the realms of academic research, extension and producer application meant that my real interest lies in identifying opportunities and barriers within the industry. 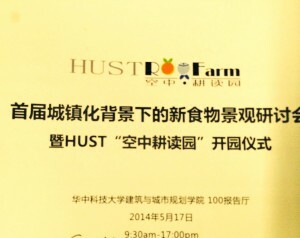 I was grateful for insight Dr. Semmens had on this subject and for our discussion about how best management practices related production and the development of farming techniques. I spent most of this second week becoming familiar with daily maintenance and operational activities that went on in care and development of the aquaponics project at Reymann. 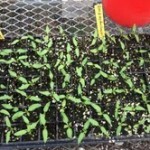 This included several, thorough explanations concerning the purpose and function of much of the plumbing and aeration components in the aquaponics system. 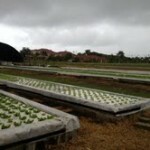 The exciting thing about aquaponics is that there are a multitude of system designs that can be utilized in the development of a productive operation which are really only limited by physics and creativity (indicating to me there is still much innovation to be sought within the practice). 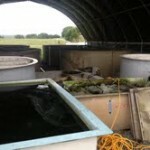 WVU’s aquaponics operation at Reymann Memorial Farm is unique because they have constructed a cold water, flow-through aquaponics system which is almost opposite from the recirculating systems that make up the majority being utilized in tandem with the lack of information about cold-water production (fish species, plant species, etc). 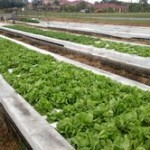 I learned how to deal with pH fluctuations, supplementation, malfunctions and maintenance, all of which are likely to be encountered in the world of aquaponics. I also spent quite a bit of time constructing a backyard-sized system that will serve as a demonstration for public. This, of course, led to my intermingling with drills, saws and heavy machinery! 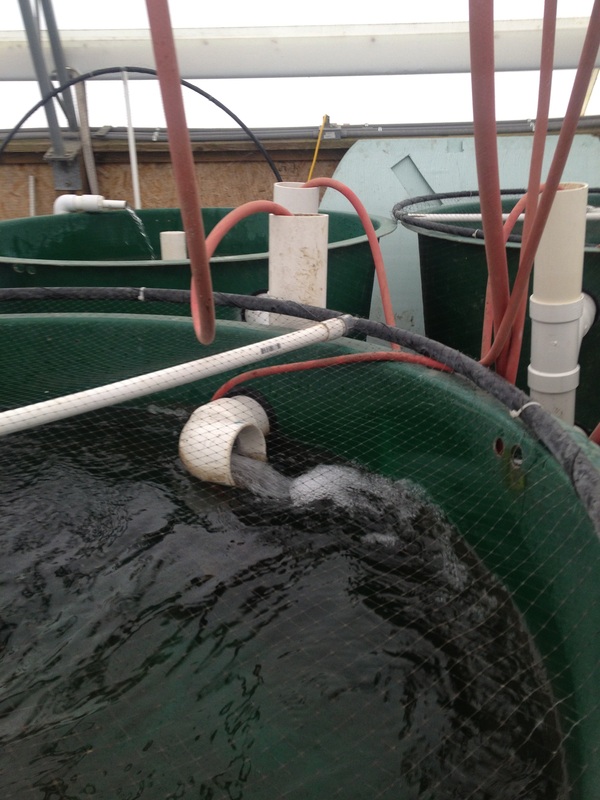 The system was three grow-bed, IBC tote build with external standpipe drain for the fish tank and linked bell-siphons draining the grow beds. 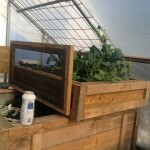 IBCs (intermediate bulk containers) are liquid shipping containers that are recycled and commonly used in aquaponics builds so it was great to get this experience to see how simple it can be use readily available materials to construct a system. It was invaluable to get the hands-on experience of putting the components together myself, rather than to try to imagine schematics in my head or even see them on paper. I learned more than I thought I even imagined by having the great opportunity to work alongside Matt Ferrell and receive his seasoned instruction on constructing, starting and managing an aquaponics system. If you’re like me, (excited by pvc, double drains, and air lift pumps) you’ll enjoy the pictures below. This office was charged with writing and spearheading the implementation of the city’s sustainability plan. The plan, ‘Sustainable DC’, was published in February to much acclaim for its bold ambition. And, although they are a small staff they share a building with the other several hundred DDOE staff who serve all the functions of a state dept of environment in meeting federal regulations. All staff seem to cooperate and interact across disciplines. My focus is on policies and regulations that can effectively drive and support sustainability throughout a community, with a particular regard for the measures by which these changes can be accounted for. Attended a mtg last week with the Chief of Staff, legislative liaison to the Mayor’s office, and the two lead policy analysts of the writing team to define what my exact contributions would be. Attended another weekly planning meeting with same two policy analysts and Office of Planning (another dept and one typically called Community Development) liaison. Purpose of this meeting was to review and update the status and action steps of the Governance Element of the DC Plan, the part of the plan designed to make the plan a reality. So far, I have assumed responsibility for reviewing and rewriting two portions of existing acts. One is a portion of the Renewable Energy Portfolio that designates Biomass as a Tier 1 renewable; eligible for the maximum in purchasable RECs (the city does not currently produce any of its own power, having closed their only coal burning plant some years ago). There is concern about this allowing the inclusion of inefficient burning of black liquor from paper mills. The question is whether to delete it or specifically qualify that it may only include use of such if from a high efficiency gasification process. 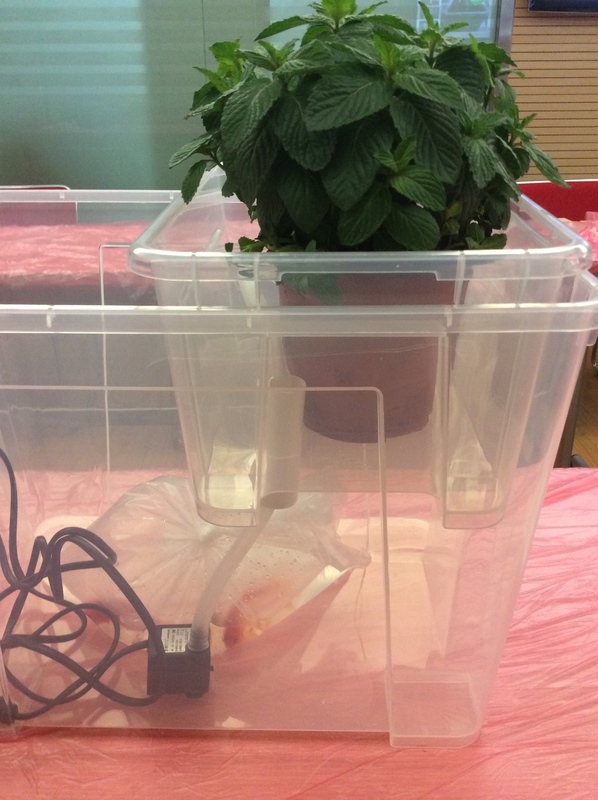 The other legislative project is to write a section allowing beekeeping within the city. Next larger ongoing project is working on accountability measures within the DC Plan to align them with those of the STAR Community Index, a matrix of measurables developed through the international organization of local governments for sustainability or ICLEI. DC is definitely a city on the move with very progressive plans coordinated from several different depts. 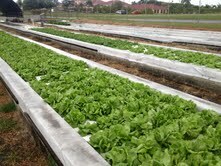 and numerous agencies all working towards sustainability. It is amazing how many people regularly walk, bike, ride buses and take the metro. They have 110 bike share stations throughout the city and all are heavily used. Zip Car and Car-to-go meet the occasional needs for automobiles. This week, an EcoDistrict Working Group met to finalize a carbon analysis and toolkit consulting group. This topic is chosen because the City of Cleveland Major Jackson signed the U.S. Mayor’s Climate Protection Agreement. The City of Cleveland therefore has needed to create a Climate Action Plan. During the meeting, I updated the group and I discussed how I will be creating a holistic approach to sustainability and be creating a Sustainability Action Plan. This week I have focused on GIS analysis for environmental sustainability and my advisor has lectured me on the aspects of social sustainability, especially at the neighborhood level. The Detroit Shoreway EcoVillage Green Map can be seen here– http://www.opengreenmap.org/node/40136.